It's a matter of when, not if, some experts say. It refers to when Sears Holdings Corp. (SHLD declares bankruptcy, which inches closer by the day. "Sears is at the intersection of being highly leveraged and highly vulnerable without a strong omnichannel [presence]. The whole public perception of Sears is not favorable," Brian Davidoff, head of Greenberg Glusker's Bankruptcy and Financial Restructuring Group, told TheStreet. "A [bankruptcy] filing of Sears would be the most likely," said the expert, who oversaw the bankruptcy of Bachrach Men's Store in 2017. Ratings agencies are apparently in agreement. On Tuesday, Fitch downgraded its rating on Sears, which operates both the Sears and Kmart brands, to a "C" from "CC" after Sears announced plans to exchange various tranches of debt. Last week, S&P Global likewise downgraded Sears to a "CCC-" from an earlier "CCC," reflecting the rating agency's view that it considered the debt restructuring "distressed because we believe lenders would receive less than the original promise." The downgrades mark the latest woes for once-proud Sears. The legendary retailer was founded in 1886 and grew to be the model for the industry, in many respects the Amazon.com Inc. (AMZN - Get Report) of its day. An American icon, Sears once sold everything from baby bottles and toys to prefab houses and car parts. Its 500-page-plus mail-order general-merchandise catalog, which lasted until 1993, was long a lifeline to everyday items for rural customers. Current CEO and Chairman Eddie Lampert, a hedge-fund manager, began to assemble what would become Sears Holdings in 2003 by buying Kmart (then a separate company) out of bankruptcy through the conversion of debt holdings into equity. The following year, Kmart bought Sears for $11.5 billion and combined the two to form Sears Holdings. But 14 years later, Sears shows all of the signs of a company gasping for air. Nowhere is that more evident than the stock price. Shares of Sears touched a high of $115.37 in early 2007, but have lost some 97% of their value since then. The stock fell nearly 8% on Wednesday to close at $3.12. Sears has also endured thousands of store closings and laid-off legions of long-time employees. Some of the stores were sorely out of date, with bare shelves and dirty floors, and seeing declining revenue. Meanwhile, the bad news for Sears has caused some suppliers to shun it and the need to raise massive debt to stay alive -- money often coming at high interest rates from Lampert's company ESL Investments Inc.
Of course, Sears isn't the only traditional retailer shuttering stores and laying off workers -- Macy's Inc. (M - Get Report) , J.C. Penney Co. (JCP - Get Report) and Kohl's Corp. (KSS - Get Report) have been doing the same. But their futures appear brighter because, they've all shown an uptick in sales in spite of challenges in the brutal bricks-and-mortar retail sector. Moreover, Wall Street analysts are bullish about positive changes those retailers have made to land the consumer. But as for Sears, closing stores in key markets means the company is giving away business to big-box competitors like Target (TGT - Get Report) , Walmart Stores (WMT - Get Report) and Home Depot Inc. (HD - Get Report) . Sears did not respond to a request to comment for this story. Lampert's reputation as a money manager, once bright, has taken a knock as Sears has crumbled. The Sears chief's career as a hedge-fund manager ended when he embraced the retail space. 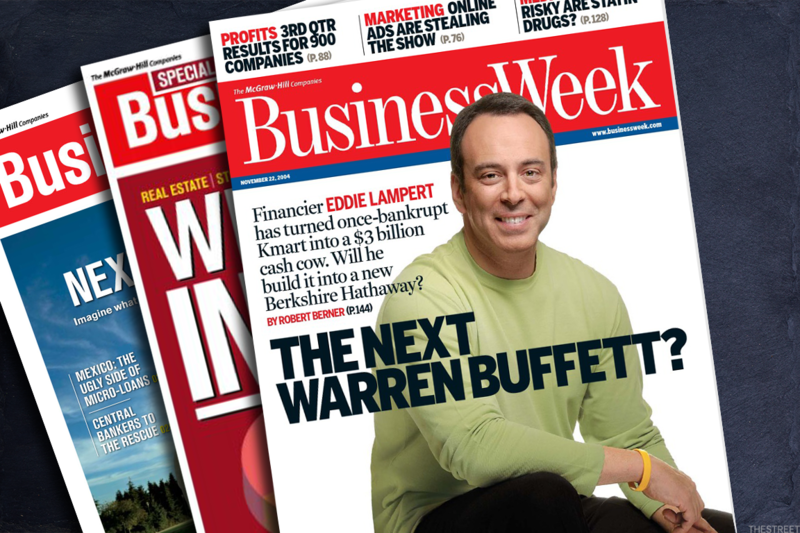 In 2004, he was so lauded that BusinessWeek put him on the cover with the headline: "The Next Warren Buffett?" How fortunes change. "If anyone is destined to inherit Buffett's perch as the leading investment wizard of his day," wrote BusinessWeek's Robert Berner at the time, "it might just be Edward S. Lampert. Since he started [ESL Investments Inc., Lampert's private investment fund] in 1988 with a grubstake of $28 million, he has racked up Buffett-style returns averaging 29% a year." But Lampert is no longer a cover boy for business magazines. Instead, some say that he's a poster child for what not to do when managing a company. From reportedly working remotely from headquarters and churning through executives, Lampert has struggled to execute on whatever vision he has for Sears. Inside, Lampert is overseeing what many industry insiders see as a failing retail company. "From the start, Sears disinvested in the stores," retail veteran Michael J. Berne, president of MJB Consulting, explained to TheStreet. "They weren't investing in the company and stores as a retailer, and it shows. Sears has been in free-fall." It also missed a golden opportunity through Kmart to capture the large group of urban low-income consumers, Berne added. Instead, through its lack of focus it ceded that lucrative business to Target, Walmart and other retailers. True, Berne said that Lampert does deserve praise for trying "big ideas" like Shop Your Way, the company's loyalty program. "Eddie Lampert has put a significant amount [of money] in play to give this initiative a chance," Berne said. "He's monetized the real estate, some of the iconic brands — everything that he could. You can be cynical about it, but he's nothing if not committed. Whether it's the right thing to commit to is another matter." The norm for Sears: store closures. Sears announced just weeks ago that it will shutter 103 more Sears and Kmart stores during 2018's first four months. That will reduce the total number of Sears and Kmart stores to around 1,000. By contrast, there were more than 2,000 Sears and 1,400 Kmart locations during the firm's heyday in 2006, according to Bloomberg data. Closing stores is never a great step for a retailer. "The question is, 'When you have a smaller number of stores and lower sales volume, can that support the structure?" said Davidoff, the bankruptcy expert. "When a retailer gets rid of the losing stores, it realigns the corporate overhead structure so it's cash-flow positive with the remaining stores." Sears has low inventories and stark shelves at some stores, as observed during recent store visits by TheStreet. Industry experts say that's due at least in part to some vendors declining to provide Sears with goods — and if you don't have the goods to sell people, you can kiss your retail business good bye. "Empty shelves result in a downward spiral, not just because desired merchandise is unavailable for purchase, but also the consumer starts thinking that stores will close and then returns will not be be accepted, gift cards will not be redeemed," said Berne, the retailing expert. One clothing manufacturer, who requested anonymity because he fears legal action from Sears, said he worked with the company for decades — selling it multi-million-dollar orders before cutting ties because he believed Sears would eventually default on payment. He said Sears does pay its bills, but like many retailers, stretches out payments. Ron Friedman, partner of the accounting and advisory firm Marcum LLP, told TheStreet that many vendors stopped selling to Sears in the last two to three years. "When you sell to Sears, it's at least a $300,000 order. I don't have any clients who can take a hit like that," said Friedman, a certified public accountant, who's served consumer-product companies for 45 years and worked with at least 100 clients that have sold to Sears in "good times and bad." 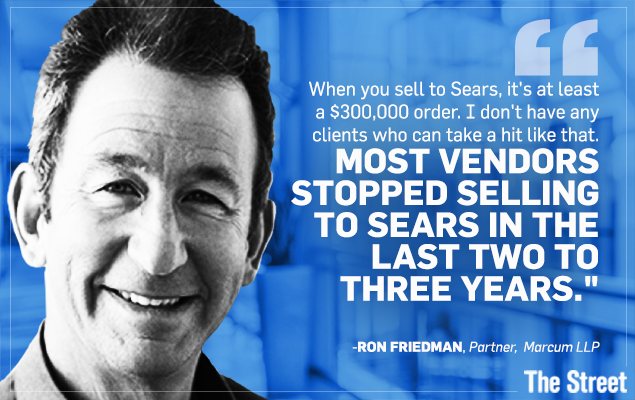 Now, though, none of Friedman's clients sells to Sears, focusing on selling to Walmart and Target instead. Friedman said that when Sears was flying high, an order from the retailer could easily be $1 million and vendors could have $20 million to $30 million in backlogs of orders from the chain. But today, many orders have dropped to the $200,000-to-$300,000 range, he said. Friedman added that savvy vendors might now parse out their shipments — sending, say, $100,000 worth of goods and waiting until they're paid before shipping more. Some vendors might be making so much on the margin from Sears that a missed payment doesn't faze them. Or, suppliers might demand prepayment or shorter payment terms. "That's the only sane way to do business with Sears now," Friedman said. Vendors selling to retailers typically hire a company called a factor, which functions as a credit and collections department, handling accounts receivable and bookkeeping. Factors also will lend against those receivables and pay the vendor for the bulk of the order immediately after shipping, with the balance coming later. 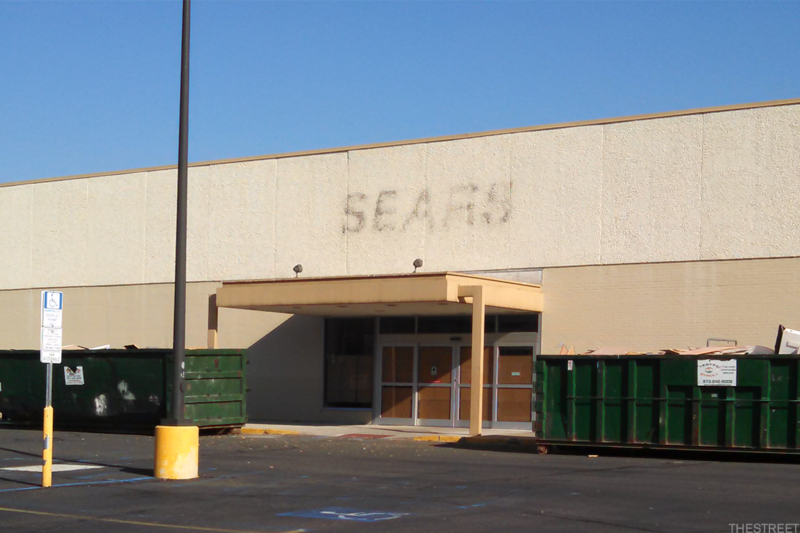 But Ken Wengrod, president and founder of a factor firm named FTC Commercial, told TheStreet that many factors dealing with merchandise for Sears jumped ship at least a year ago. Martin D. Pichinson, co-founder and co-managing member of the liquidating firm Sherwood Partners, told TheStreet that "the factors are tightening up. The suppliers are in concern mode." Retailers often get 30 to 60 days to pay for a shipment. Yet in this tough retail environment, suppliers are demanding the retailers that can't get credit pay within 15 days, said David Berliner, a restructuring and turnaround services partner at BDO U.S. One clothing manufacturer said that suppliers start the time clock when the shipment is picked up by the retailer; many retailers begin the count only after they have received and examined the order. When factors pull out, the next step for a vendor or supplier may be to hire a credit-insurance company like Euler Hermes, which handles none of the collection tasks done by factors and pays the vendor if the retailer defaults on payment . Of course, vendors may sell to a retailer directly with no guarantee of payment, but that's very risky and can leave them with empty pockets. Long lead times, finicky foreign manufacturers and Sears' shaky reputation also play into whether a vendor decides to sell to the retailer, added Friedman. "You have a three- or four-month lead time if the goods are manufactured in China," Friedman said. "Who wants to place an order for Sears if [the chain isn't] going to be in business when the order is ready? The vendor thinks: 'That means I have to eat those goods.' ... That's why they stay away from Sears. They don't want to take that risk." With the Federal Reserve boosting interest rates, it costs more to borrow money. That puts pressure on some retailers and vendors. A company without much debt can absorb the rise in rates, but it's a different story for those with lots of debt, like Sears. "As interest rates go up, it costs companies with debt more, and higher interest rates can be expensive," Rob Greenspan, president of Greenspan Consult, which advises the retail sector, told TheStreet. Retailers often offset those higher costs by selling more or cutting costs, but Greenspan said that while Sears is reducing expenses by closing stores, it means "they aren't growing their top line and probably not increasing margins." Combined sales of Sears and Kmart stores for the holiday season 2017 were down 17%, part of a long-term downward spiral. Between 2013 to 2017, for example, sales were nearly cut in half, from about $40 billion to $22 billion. With plunging sales has come a need to incur debt. Sears' long-term debt was at $1.9 billion in 2013 but jumped to $2.2 billion by the end of 2017's third quarter. Short-term debt was at $1.2 billion in 2013, but four years later had nearly doubled to $2.3 billion. Sears has been extending maturities on debt, which is rarely good news. Last month, Sears extended the maturity of $400 million of debt that had been set to mature in June 2018, although it repaid $568 million in 2017. The maturity date on the remaining debt is now January 2019, with the option for Sears to further extend it to July 2019. On a separate $500 million loan, Sears paid down half of the balance and pushed back the maturity date to April 2018, with the option to extend the date to July 2018. The company's total outstanding debt as of the third quarter was $4.5 billion, half of which is due over the next two years. Fitch Ratings managing director Monica Aggarwal broke down the bond obligations due in 2018 for TheStreet, saying that Sears owes $1.2 billion this year — out of which Lampert's hedge fund, ESL, owns $874 million, which is secured by either inventory and receivables or by real estate. Of the $874 million held by ESL and affiliates, $461 million is secured by real estate, with a $413 million of short-term line of credit secured by a second lien on inventory and receivables. The remaining $303 million is secured by a second lien on inventory and receivables. Then, $1 billion of debt is due in 2019. In 2020, what comes due is $1.2 billion of debt and Sears' $1.5 billion revolving-credit facility. In addition, Aggarwal said, the company has gone from negative $325 million in EBITDA (earnings before interest, taxes, depreciation and amortization) in 2013 to negative $810 million in 2016. Fitch predicts that 2017 and 2018 will each yield between a negative $600 million and negative $700 million in EBITDA. In a note last year, Fitch estimated that Sears would have to raise some $2 billion in liquidity for 2017 -- in line with what it has done for the past five years -- based on negative EBITDA and $800 million total in interest expense, capex and pension expense. Aggarwal told TheStreet that Sears needs to raise about another $1.5 billion in liquidity to fund just the business this year. In addition, it has to address upcoming debt maturities, hence the need for more money. The stress on Sears shows in the debt markets. Sears senior subordinated bonds bonds, due December 2019, are trading at $48, roughly half of what they were trading at in October 2017, according to Fitch. "The way we have been talking about Sears for the last three or four years is that the company needs about $2 billion a year," Aggarwal said. "If they can't raise it, the risk of [bankruptcy] is high." Put it all together and Davidoff said Sears' recent history bears the markings of other retailers that sank. For instance, the expert said that Circuit City — which filed for Chapter 11 bankruptcy protection in 2008 and Chapter 7 liquidation a year later — was facing a loss of vendors. Davidoff added that suppliers also fled from from Radio Shack, which filed for Chapter 11 in 2015. Then there's toy retailer Toys "R" Us, which filed for Chapter 11 in December when suppliers abandoned the company in response to media reports of an impending bankruptcy. Davidoff said that to claw out of the morass, Sears must continue what it's been doing — closing money-losing locations; slashing extra inventory; soliciting support from vendors for better credit terms; reducing overhead and improving cash flow. "Sears is at a break point," he said. "If there is a [bankruptcy] filing, that filing is likely to occur this year."